Restaurant marketing automation is a tactic that allows restaurants to nurture potential customers. Using highly personalized, relevant content helps convert these prospects into loyal customers. 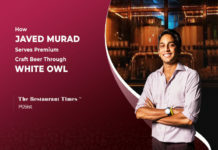 In a study conducted by the Infosys, it was reported that personalization significantly influenced fifty-nine percent of consumers spending habits. Personalized restaurant marketing has been known to generate repeat sales by 8-20% in QSRs and 6-12% in fine dine restaurants. And personalization for a large audience can only be achieved through automation. Restaurant marketing automation is an essential piece to your marketing puzzle that can help elevate your marketing strategy. You need to constantly reshape and interpret your strategy to discover what’s working and what isn’t, in order for you and this investment to be successful. 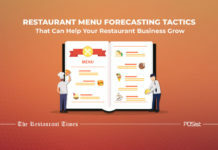 Automated restaurant marketing enables restaurants to plug their current marketing efforts into specially-designed platforms and new technologies. The programs and platforms then make decisions based on a series of predetermined actions taken by the customer. 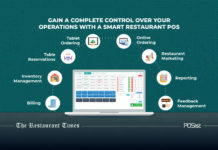 Time-Saving: Automated restaurant marketing lets you take the time you were spending on posting and emailing and put these daily chores under the control of your automated program. Money Management: The time that you would have spent typing up each individual message costs money. Automated marketing is an investment that can save you money. 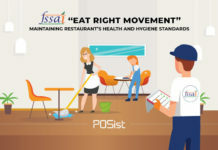 Standardization of Procedures: By automating your restaurant marketing, you’re creating a system that will be much easier to follow and will be constant as your business grows. Reporting and Analytics: All your restaurant marketing efforts will go in vain if you don’t use measure the results of your campaigns. By automating your restaurant marketing, you will be able to view the results of your campaigns in a structured manner that will allow you to test and optimize your campaigns. 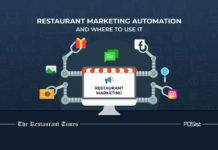 Restaurant marketing automation is a transcendent way of guiding potential customers through your website, social channels, and email, to generate new leads, all the while reforming existing ones. 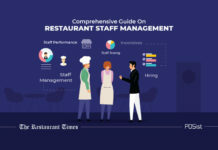 This article will help you automate different aspects of restaurant marketing for nurturing your loyal customers and for luring in the new ones. Email marketing and SMS marketing are the easiest marketing strategies to reach out to your customers and also are the easiest to automate. Incorporating a system that accounts for the emails and SMS you typically send each customer guarantees that each patron will be up-to-date about your restaurant. Here are the examples of the SMS and emails you can send your customers to keep them hooked to your restaurant. A ‘We Miss You’ email or SMS. 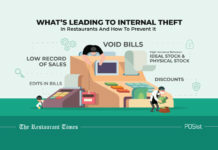 That is set to send when your customer hasn’t dined at your restaurant for a while. An email or SMS that sends out a regular newsletter or alerts customers to a new blog post. Both of which provide customers with even more value. An email or SMS following the dining experience that invites them to rate the meal they enjoyed for a discount or coupon they can apply to their next meal. 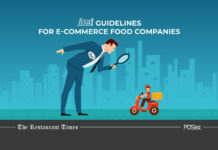 Restaurants have a great opportunity to build an expansive e-mail and SMS list by asking for their contact details while they’re placing an online order or by seeking feedback. 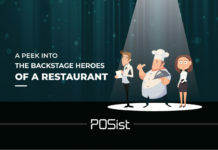 Automating your restaurant loyalty reward program can save you time and money. Rather than the cards that need to be printed and stamped with each visit, consider automating your loyalty rewards cards by enabling customers to register with their phone number and email address. It makes it easy for them to look up their information and provides you with a way to stay in contact. 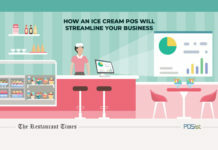 You can then use your POS software to track any rewards the customers have earned. Point out how close they are to earning their next rewards or allow them to redeem their rewards by sending them automated SMS and emails. It is essential to create Loyalty Programs based on your restaurant type. For instance, if the Average Spend at your restaurant is less and you have high footfall, a visit-based Loyalty Program will be profitable for you. 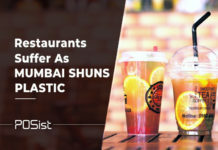 On the other hand, if the Average Spend at your restaurant is more, as in the case of fine dining restaurants, it is better that you run amount-based Loyalty Points that allows customers to earn and redeem points with ease. Building a contact database and then sending them promotional SMS and email campaigns can be a slow process, especially if you are new into the business. SMS marketing has a high conversion rate and is also cost effective if you do it right. Although purchasing contacts and sending them cold SMS and emails for promotions is considered as Spamming, it can still work if you follow the guidelines and do it smartly. Remember to send promotional SMS only to the contacts within your area and include a clear Call-to-Action such as ‘Order Now’ with the link to your online ordering, or book now with a Table Reservation link. The critical thing to remember here is that sending bulk SMS and emails will only help you reach out to more people, and will not result in high conversion unless you segment your customer database. Thus, it is necessary that you segment the database after sending each promotional campaign based on the number of Opens and Clicks. This, of course, cannot be done manually, so it is essential that you automate this process with the help of a smart Restaurant Marketing Automation tool. One of the biggest challenges of restaurant marketing is promoting and increasing the sales of individual outlets if you have multiple outlets or restaurant brands. The marketing strategies that work at one outlet may not work at a different outlet, making it tedious to create, run, and optimize campaigns for individual outlets. Thus, it is essential to run custom marketing campaigns for specific outlets. This where restaurant marketing automation comes into the picture. With the help of a smart restaurant marketing module, you can create outlet level discounts and offers, and run SMS and email campaigns for the customers of that specific outlet from a central panel. Social media marketing is the way to go but can be a little time-consuming. It is easy to get caught up in typing your next Facebook post or looking for the perfect Instagram filter. One way to save social media time is to automate your account. This includes features like scheduling posts, automating replies, creating and posting following a new blog, and posting based upon specific triggers. It will help you in pre-planning the content you wish to publish on your social media accounts without having to spend much time on it. Some social media platforms like Facebook, enable you to schedule your set posts months in advance, but there are many sophisticated platforms that allow you to do even more. You can use Social Media Automation tools like Hootsuite and Buffer to schedule your posts in advance. In the age of online reviews, it gets difficult to keep track of all the reviews that you may be getting on social media. A bad review can sincerely damage your restaurant business as people tend to check reviews before visiting a new place. To avoid this, you can use an online reputation management tool that sends you Alerts if someone mentions your brand online. Responding to private messages: Respond personally to the questions, concerns, and praises your followers are sending. Facebook displays the average time taken to respond to messages. People are more likely to reach out to you if your Response Time is less. You can set-up an automated reply that acknowledges the customer queries; however, take the time to respond to all your messages. Replying to comments: Show your followers that you care about them by replying directly to them. This will also increase the reach of your business page and increase customer engagement. Reposting the same content for each network: The networks aren’t alike, so don’t treat the posting practices equally. For example, a 250 character tweet isn’t going to work on Instagram. Identify the hashtags for each platform and repurpose your content to suit the audience. 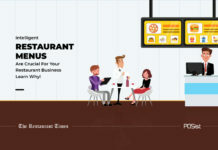 Restaurant Marketing Automation is the need of the hour. You will be faster, more efficient and more in-tuned with your customer’s journey, enabling you to get detailed insights about your customer behavior and preferences. 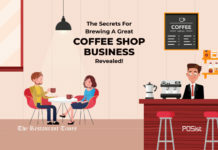 And that is incredibly valuable because you will be able to create smart restaurant marketing strategies to increase your customer engagement and ultimately increase sales.